Why Travel with Charity Challenge? Inspired by raising money for charity and embarking on a number of international challenges himself, Simon Albert decided to create Charity Challenge in 1999. Now a multi-award winning company, Charity Challenges sends over 3,500 people across the globe each year and employs 16 staff in UK & Canadian offices, and many more from local communities in the countries we operate in. Charity Challenge specialises in delivering exceptional adventure challenges, allowing participants to raise money for the charity of their choice. For 18 years we have created and managed international expeditions which have enabled people to raise in excess of £50million for over 1,800 charities. 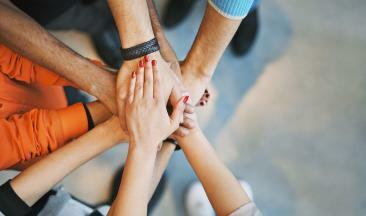 Charity Challenge operates challenges across 6 continents, in over 30 countries worldwide. Whether it's trekking, cycling, rafting, and even dog sledding, there's a Charity Challenge for everyone. We are one of the only UK based companies who specialise in polar expeditions to the North and South Poles. We're also ATOL bonded, licensed and insured tour operator, with safety and participant welfare at the forefront of our business. We want you to experience the trip of a lifetime and have an authentic real-life experience whilst raising money for the charity of your choice through a responsible and ethically run challenge. Take on an adventure with Charity Challenge and you can make a difference in so many ways. Believe, Achieve, Inspire! 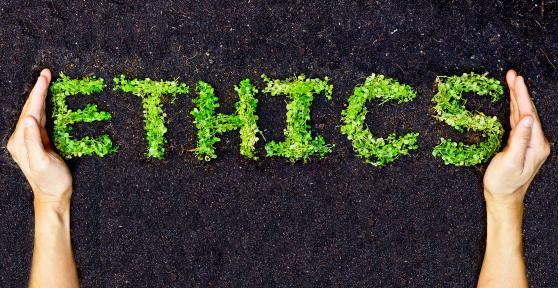 Honesty and integrity - We are 100% transparent about our challenge costs, who pays what, how much is funded by you and the balance payable by the charity. This is made explicitly on our website, when you book and in fundraising materials. It's vital that everyone - especially donors - are fully aware of where the money goes. We aim to provide transparent pricing and clear instructions as to what is and isn't included in our prices. Rest assured that Charity Challenge includes ALL known air taxes (including fuel) at the time of costing. Charity Challenge leads the way in responsible operations, ensuring local communities in host countries benefit directly from our challenges. All our expeditions contribute to the local economy. PASSION AND INSPIRATION: We're passionate about adventure travel, and helping thousands of people to experience life-changing journeys while raising millions for charity. We are immensely proud of what we do and our achievements. 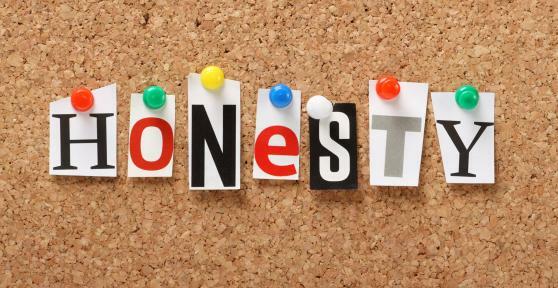 HONESTY AND INTEGRITY: We are always honest, truthful and transparent in the way we work. EXCELLENCE: We strive to deliver challenges and customer service of an exceptional quality that add value to all involved. We never compromise on safety because without it, there is no quality. We always look to improve what we do and aim to exceed expectations. RESPECT: We ensure that all stakeholders are treated with respect and that our challenges are respectful of local communities, wildlife and the environments in which we operate. Experience - For more than 18 years, Charity Challenge has worked with tens of thousands of individuals, charities, corporate organisations and private groups. We have operated hundreds of treks, rides, mountain climbs, horse riding, skiing, dog sledding, snowshoeing and white water rafting expeditions, in every environment from mountains to deserts and including the North and South Poles. So we know what we're doing. Safety - We consider the safety and welfare of our participants, staff and support crew to be our top priority. As such, we developed Challenge Safe, one of the most advanced and thorough safety management systems in the industry. Rest assured that we will always do everything we can to carefully assess the risks of a challenge and then introduce appropriate safety measures. Support - Charity Challenge provide's you with a huge array of advice and guidance on everything from fitness training to fundraising, travel insurance to visas. You will get access to your own secure account zone, to help you prepare and make the most of your challenge. Most of our staff have undertaken challenges and raised money for good causes, so we can provide you with everything you need to succeed. Recognition - In 2015, Charity Challenge's co-founder and director Simon Albert was honoured with a British Citizen Award for Business at Westminster Palace. The accolade was in recognition of having helped tens of thousands of individuals to achieve incredible personal goals while raising in excess of £47,000,000 for more than 1,700 worthwhile causes. 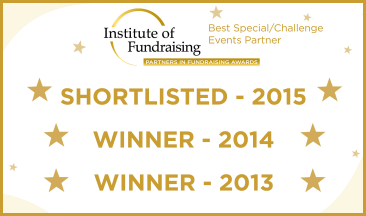 Awards - Charity Challenge was voted the Best Challenge Company by the charity membership of the Institute of Fundraising in both the 2013 and 2014 Partners in Fundraising Awards. In addition, we were highly commended by both the Queen's Award for Sustainable Development and the Virgin Holidays Responsible Tourism Awards for our Community Challenge programme. 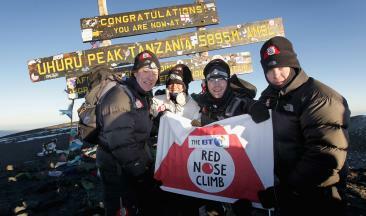 Comic relief - In 2009 we organised the very successful BT Red Nose Day Kilimanjaro Climb for a host of high-profile people, including: Gary Barlow, Cheryl Cole, Chris Moyles, Denise Van Outen and Fearne Cotton. The expedition raised a staggering £3.35million. In 2013, we organised the BT Hell and High Water challenge along the Zambezi for participants including Jack Dee, Mel C and Dara O'Briain. At Charity Challenge we acknowledge that it is our responsibility to ensure that we do all we can to contribute to making better places for people to live in the countries that we operate, and better places for you to visit. We're proud to have donated over £500,000 to local community projects in the countries that we operate in. 1. Use locally owned services whenever possible. 2. Encourage transparency with our ground teams about how responsibly they manage our tours. 3. Support projects in the countries in which we operate. We also have the following policies: Child Protection; Animal Welfare; International Porters Guidelines. A huge amount of research, planning and hard work goes into designing, organising and running every challenge we operate. 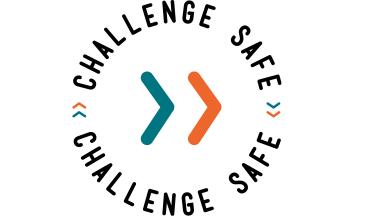 This, along with an incredible amount of ideas, energy and enthusiasm makes Charity Challenge what it is - a world leader in the provision of fundraising challenge events. Our team is made up of the most diverse group of people from around the world including South Africa, Australia, Kenya, Malawi, Peru, Spain and Belarus! They cover roles in operations, flights, account management, marketing and sales, administration and finance. If you feel that you have the motivation to inspire and encourage people to venture well out of their comfort zones and would like to join our team, please do get in touch. Any new opportunities to join Charity Challenge will all be advertised on social media first, so keep your eyes peeled. Thanks for your interest in Charity Challenge. Simon has travelled extensively throughout the developing world, climbing mountains, rafting rivers and helping local NGOs to build schools and health centres. Having completed a Business Studies degree, he trained as a brand manager working on Nescafe coffee. He began charity trekking as a participant in 1995 to Jordan and then climbed Kilimanjaro the following year. He identified a niche in the expeditions market and, on returning to the UK, voluntarily organised two expeditions to Cuba and Tanzania - both of which were a huge success. At the age of 27, and having raised more than £100,000 for charity, Simon set up Charity Challenge with co-director and best friend Jeremy Gane. He has personally taken part in many of the challenges. These have included building houses for orphans and vulnerable children in South Africa, as well as for families affected by the Asian tsunami in India and Sri Lanka. Simon has also personally led and organised challenges around the world. His passion for helping others is what drives the constant development of the business. In 2015, his efforts were recognised with a British Citizen Award medal for Business. Simon is married with three young sons and can’t wait until they can join him on a trek to Everest Base Camp or to visit the temples of Angkor Wat. With a Master’s degree in Ethnomusicology, Kate started her travel adventures in Nepal helping to record traditional music. Once bitten by the travel bug, she has worked for tour operators in a number of different roles and even taught travel and tourism to encourage others to enter this amazing industry. Although well-travelled throughout the Indian sub-continent, Kate’s first tour leading experience was in Madagascar followed by trips to China, Bhutan, Jamaica, Egypt, Greece and Morocco. Happy in the mountains or in search of wildlife, Kate is always looking to widen her travel experiences. Sarah has a fantastic background when it comes to the great outdoors; after completing Kilimanjaro in 2016 and trekking to Machu Picchu in 2018, she can now be found regularly trekking around the French Alps and the hills of Snowdonia. Sarah also has 10 years of valuable account management experience, however on meeting our director Simon, decided Charity Challenge was where she needed to be! When Sarah isn’t adventuring, she can be found at a gig or festival. Holmes spent much of his early life immersed in wildlife and conservation while travelling the world with his family. Inspired by these experiences, he went on to study zoology and spent every holiday volunteering in conservation, mostly in Africa and Latin America. Holmes went on to spend a decade in the infantry, where he developed a passion for travel and expeditions. After a brief spell learning osteopathy, he joined an overseas experiential expedition company where he specialised in incident handling and managing trips in remote destinations, often at altitude. He joined Charity Challenge in early 2016 and, when not planning his next trip, can be found knocking holes in walls or wrestling his newborn son into a sleepsuit. Katherine has been in the Adventure Travel Industry her whole career. 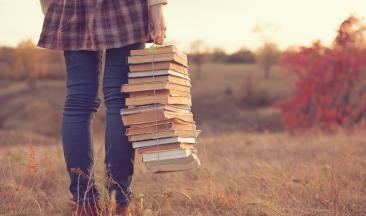 After finishing university, and having promised herself a year off, Katherine set off on the backpacker trail. The result was an incredible and life-changing overland trip through Nepal and India, to South East Asia and Australasia. Returning to the UK, with a strong conviction to work within travel, she secured a job with the company she’d travelled within India. Since then, she’s spent over 15 years working for adventure tour operators, including stints living and working in Sudan and Mozambique. She joined Charity Challenge in July 2018. Katherine loves nothing more than planning her next trip and tramping around her childhood home county of Dorset in wellies! After studying Maths in Sheffield, Sarah decided she needed a bit more adventure and fresh air in her daily life. She has three years’ experience working within a fundraising team at various charities through challenge events and loves how dedicated and excited people get about their challenge and the cause! Sarah fell in love with challenge events when she climbed Kilimanjaro in 2015 then Mount Kenya the year after and loved being amongst nature and back to basics for a week. Since then she has trekked in Peru, Patagonia and Colombia and can be found training for a half marathon from time to time, preferably in the long summer evenings. Romana has always been passionate about the great outdoors, sports and travel. After moving to London from Croatia, she has completed a Diploma in Travel and Tourism and worked as a travel consultant for luxury tour operators. With over 15 years of experience, she joined Charity Challenge flight’s team in 2017. Outside of work she enjoys swimming, yoga and walking. Growing up in Australia installed in Jenny a strong desire to see the world. In 2013, her sights were set on London and she decided to travel the world on the way there. Her adventures have taken her to 35 countries so far. With over 7 years of digital marketing experience, across a variety of industries Jenny, has found her passion in charity marketing. Jenny has work for several different charities in the UK and Australia including World Vision UK and the Nuffield Foundation. Charity Challenge let’s Jenny indulge both her passions for travel and charity. When not planning her next trip, Jenny can be found exploring London. A traveller and adventurer at heart, Craig has travelled to almost 50 countries world-wide undertaking many activities including skiing, snowboarding, trekking, climbing, surfing, kayaking, sailing, mountain biking and skydiving. With 10 years sales and business development experience in the travel industry, he is passionate about travel, helping people to develop their skills and potential, and maximising opportunities to raise money for worthy causes. Saphia began her career as a primary school teacher but, after being bitten by the snowboarding bug, decided to follow her passion to the Austrian Alps where she worked as a Resort Manager for Crystal Ski. After 4 schnapps-fuelled seasons, she decided it was time to return to the UK and swiftly became a member of the Charity Challenge team, putting her operational skills to good use. When Saphia isn’t busy organising our trips to Everest or the Great Wall, she likes to set off on her own adventures. Having trekked Machu Picchu and various mountains and volcanoes across Southeast Asia, Saphia now has her sights firmly set on a challenge in Africa – look out Kilimanjaro, she’s coming for you! Felicity grew up in rural Kent, spending endless days cycling around the countryside and running through forests. At a young age, Felicity had her first trip to the French mountains where she started skiing lessons. She was hooked and has since learnt to snowboard as well. Felicity has lived and worked in five different countries, visited 21 European countries and has been working in travel for the last three years. Felicity also enjoys spending time climbing and walking and loves to run. Having completed numerous running events in aid of various charities, Felicity's passion for fundraising led her to discover Charity Challenge. Andy has always been passionate about the African continent and has spent several years tracing the footsteps of early African explorers into some of the wilder regions of the continent. After completing a degree in African Studies, Andy combined his passion for trekking with his studies and moved to Egypt. Here he spent several years working for the EU on a tourism development programme aimed at training local Bedouin mountain guides. Andy then established his own trekking company based over in South Sinai and continued to run treks throughout the revolution. Andy returned to the UK to undertake a Masters degree in Responsible Tourism and begin a new segment of his career at Charity Challenge. Andy holds the Summer Mountain Leader award and has worked as a mountain guide in the UK and abroad. He has also been described as "witty and knowlegeable" by a recent charity challenge participant. With a wealth of international travelling, living overseas and employment specialising in expedition management, Rob brings an experienced hand to our operations management of the America’s and the Indian sub-continent. With a keen interest in worldwide cultures and history Rob looks forward to continuing the fantastic challenges already on offer and extending the portfolio. Born and brought up in Kenya, Sharmee discovered her passion for travel at a young age and completed her travel diploma in London. Since graduating, she has always worked in the travel industry and has over 14 years of experience working both in Kenya and now in the United Kingdom. With a brain like a calculator she joined the Charity Challenge Finance team where she handles sales invoicing for all our challenges and also manages credit control. Travelling has certainly been Sharmee's passion and one of her favourite hobbies. She has been very fortunate to stay in some of the best hotels and resorts during her travels to various exotic places in the world. When she's not travelling, Sharmee is dreaming about her next destination! She also enjoys cooking, entertaining and eating out. Bina has 17 years experience in the airline industry having worked for Aer Lingus and SriLankan Airlines both in sales and airport experience and is also trained in IATA fares and ticketing part1 and part 2. Born in Malawi, educated in India(Ooty) and studied further for a Business Studies Diploma in the UK, Bina is also a qualified beauty Therapist and a spiritual healer (REIKI)! Never happier than up a mountain, usually declaring to those around me that “life could be worse,” I have been lucky enough to fulfil my ambitions and dreams many times over. With a childhood spent on the fringes of Dartmoor National Park and on the beaches around the South Devon coast, I was permitted a freedom to explore which I still value today. A three month expedition under canvas in Southern Chile in my early twenties firmly cemented my passion for travel and adventure. Following a career in the Army, I settled down long enough to raise my two wonderful children and see them independent and successful before the itchy feet returned and I retrained as an Outdoor Instructor working in Cornwall, Devon and Dorset. This varied role allowed me to instruct in climbing, mountain biking, high ropes, mountaineering, canoeing and kayaking. Whilst as an Operations Manager for a Dartmoor based outdoor company, the opportunity arose to pursue a career as an Overseas Expedition Leader with Charity Challenge. Since then I have been lucky enough to lead cycling, running, trekking and even horse trekking challenges in many parts of the World, including Iceland, Sumatra, Mongolia, China, Cuba and Burma. In a brief gap between trips, I completed the Tour de Mont Blanc and recently enjoyed some canyonning and via ferrata in the Italian Dolomites. I now lead walking breaks in the North Yorkshire Dales with my partner, Henry. Extraordinarily last year, I was approached by a publishing company who asked to turn some of my very roughly scribbled notes into a e-book which I never saw coming but proved an exciting venture. There is little more satisfying than sharing in someone's success and I look forward to being there with you on your challenge to cheer you on and see the fulfilment on your faces. Trevor believes the world is too small to cram into just one life, but he’s giving it his best shot! He’s been fortunate enough to experience some of the most spectacular and breath-taking places on Earth, from the towering slopes of the Himalayas to the burning deserts of Arabia. He has a background in design and print, with a lifelong passion for travel. Besides being an expedition leader, he has also worked as a dive master, a ranch hand and a mural artist and has been involved with Charity Challenges and Community Challenges throughout Asia, Africa and Latin America. His adventures have included a Rajasthan cycle ride with Denise van Outen and a Kilimanjaro trek with Martina Navratilova. When not working on our community projects, Trevor volunteers with his local Lifeboat station.